Established in 1888 after the Hoskins settlement was abandoned, the first settlers in the area were primarily of Scotch and English descent, and had come from states to the east such as Ohio and Michigan. Later, the bulk of the immigrants were German people from the area of South Russia around Odessa. Ashley holds strong to the traditions of its’ past and still today has a thriving interest in preserving its’ heritage through organizations like the McIntosh Heritage Center and the Tri-County Tourism Alliance. Ashley continues to strive to become a center for technology and innovation. The community has been recognized as a leader in promoting economic development both locally and nationwide. With many newly-remodeled businesses & attractive main street, Ashley is a great place to call home, conduct or start a business, to have fun in the sun and snow, and to enjoy the rolling prairies and vast blue skies. Located 1/2 block S of Main on Center Av. 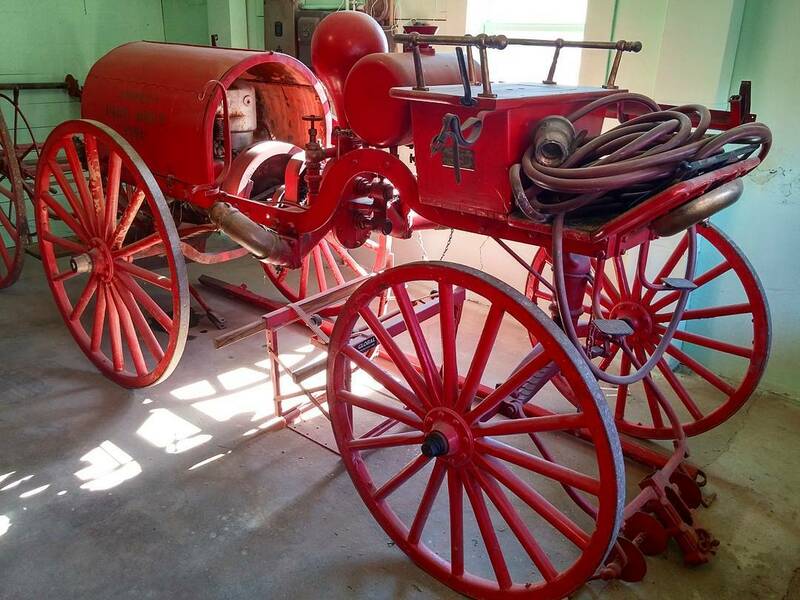 Restored with the assistance of a grant from the State Historical Society of North Dakota, the historic fire hall houses impressive artifacts on the ground floor; upstairs is a meeting room, once the venue for dances and other public events. The city passed a bond issue and built the fire hall in 1912. Below it was a 75,000-gallon reservoir filled with water; a stationary engine was emplaced above the reservoir; and 4000 feet of hose carried forth by the fire wagon could reach any point in town. This 1920 courthouse was designed by the firm of Buechner and Orth and it was constructed by the firm of Bartleson and Ness. 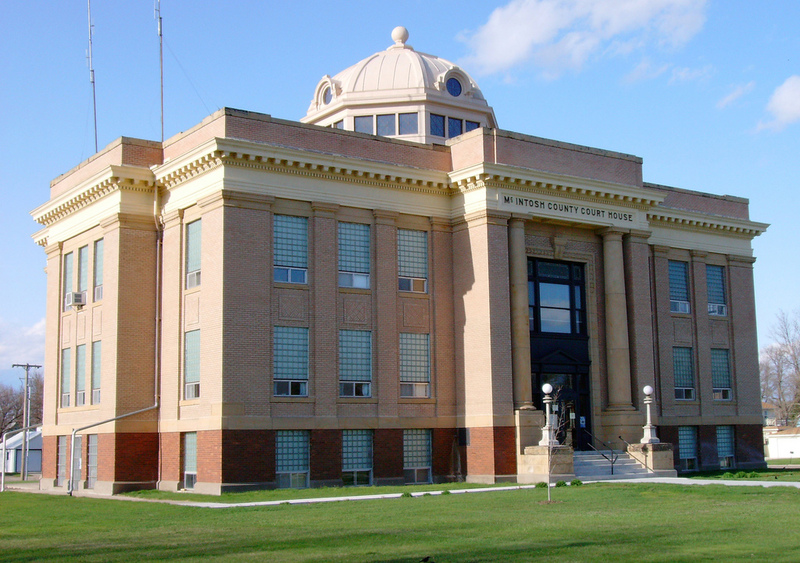 It is similar to the 1914 Mountrail County Courthouse in Stanley, North Dakota which was designed by the same firm and built by the same contractors. 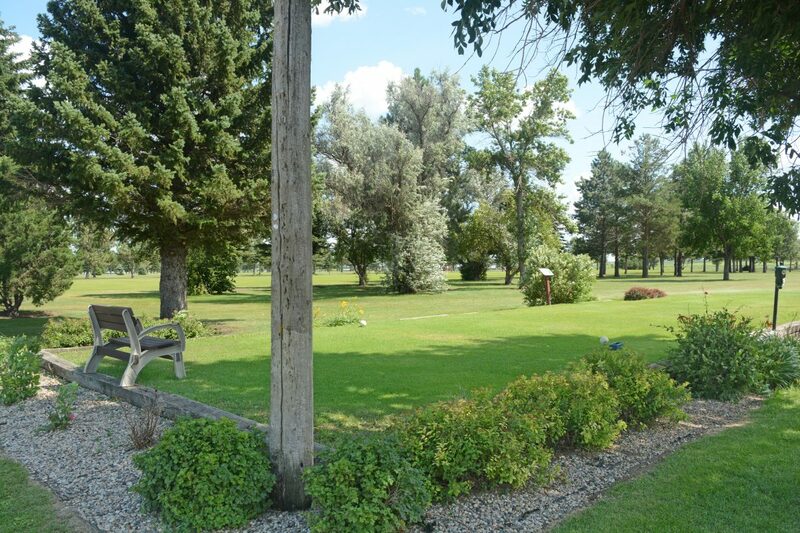 Ashley is located less than seven miles away from the South Dakota state line in a beautiful part of the state. 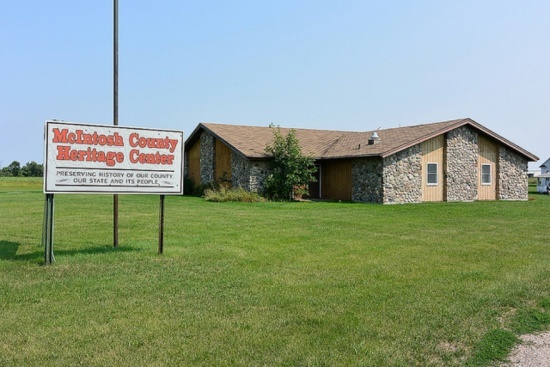 Located on the eastern edge of Ashley, North Dakota (Close to Highway 11). There is no admission fee, however your free-will offering will be greatly appreciated. Everyone is Welcome to tour our Heritage Center. Inscriptions on the rock face of the Hoskins monument are a remembrance of the first families of settlement. 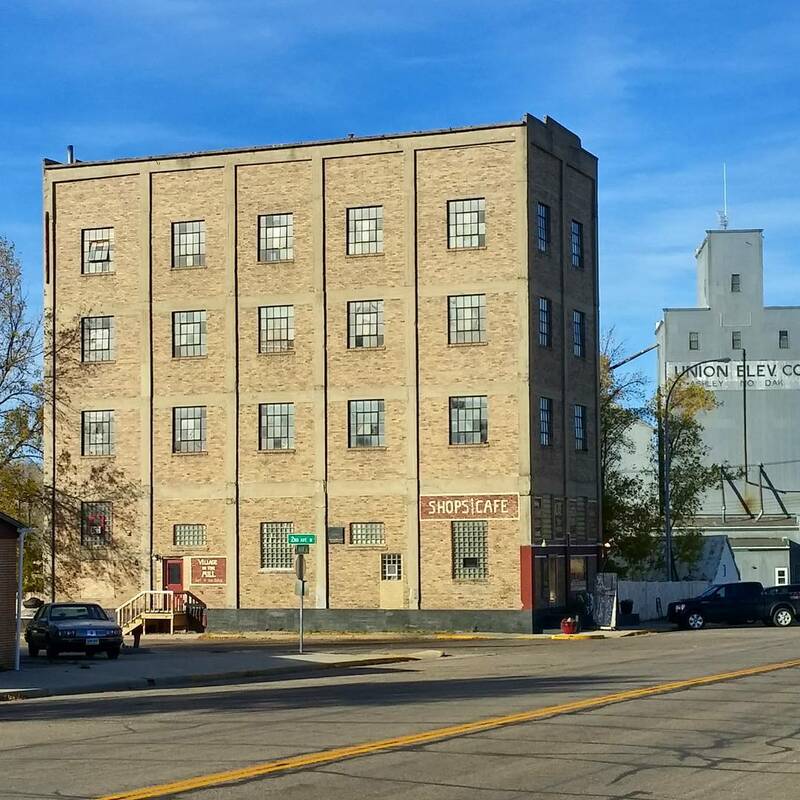 The historic Ashley Creamery was built in 1919-20 by a farmers’ co-op milling company as a flour mill, but was never used for that. Due to market difficulties (mainly its inability to compete with a mill in nearby Danzig) its milling operations were never started up. Instead it was converted into a creamery in 1939. After serving the area for decades, it housed several businesses including a cafe and a bookstore. For a few years early in the twenty-first century it served as a residence; now it has become a place of lodging. 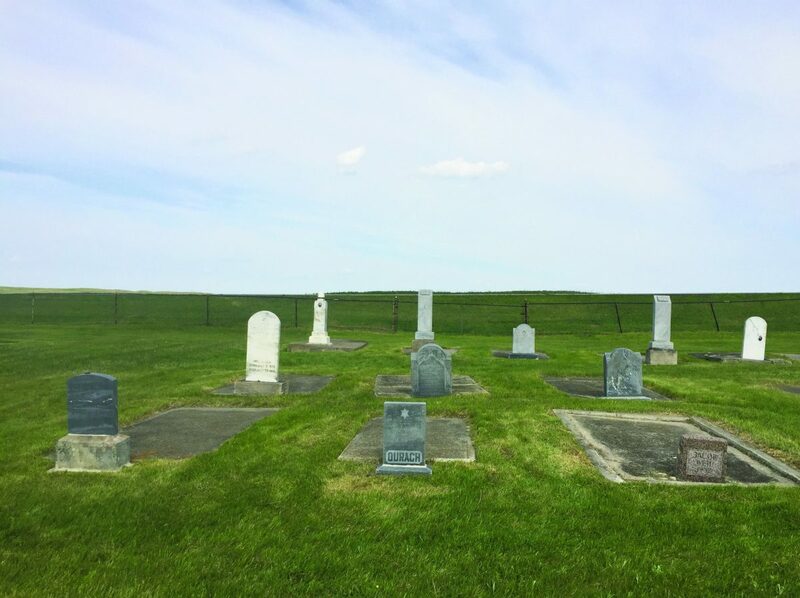 The Ashley Jewish Homesteaders Cemetery is the only permanent physical reminder of the McIntosh County, North Dakota Jewish farming community — the largest Jewish agricultural settlement in North Dakota. North Dakota had the fourth largest number of Jewish homesteaders in any state in the US from 1906 through 1915. 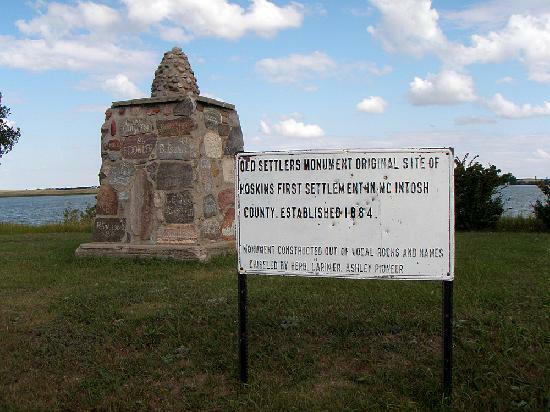 Twelve-hundred Jewish farmers farmed on 250 homesteads in over fifty North Dakota settlements from the late 1870’s. 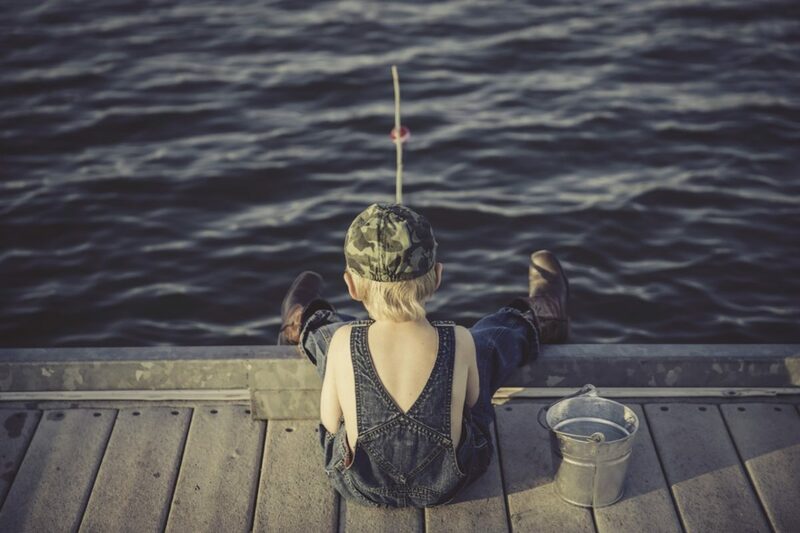 Whether you are a fisherman, or just enjoy boating and skiing, you will get your fill in Ashley. Lake Hoskins and Dry Lake are located three miles west of Ashley. Surrounded by cabins and public shorelines, Hoskins has been attracting visitors since the late 1800’s, when it was chosen for the original site of Ashley, until the coming of the rail forced it to move three miles to the east. Today, Lake Hoskins has a recreational park including picnic tables and shelters, modern playground equipment, bathrooms with shower facilities, primitive and modern camping sites with water and electrical hook-ups, a dump station, boat ramp and dock, and a fish cleaning station. Avid Fishermen and women, can enjoy fishing Dry Lake. 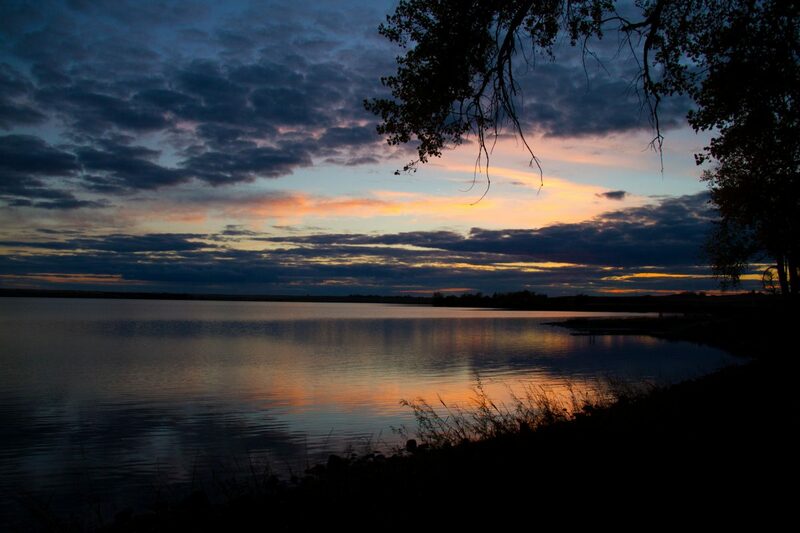 11,000 acres just north of Lake Hoskins, Dry Lake boasts trophy catches of Walleye and Northerns. The Ashley area provides a variety of different hunting opportunities at any given time of the year. Hunters from all over travel to the area to partake in the hunting paradise that is the areas surrounding Ashley. Beginning in the Fall, hunting opportunities are plentiful. 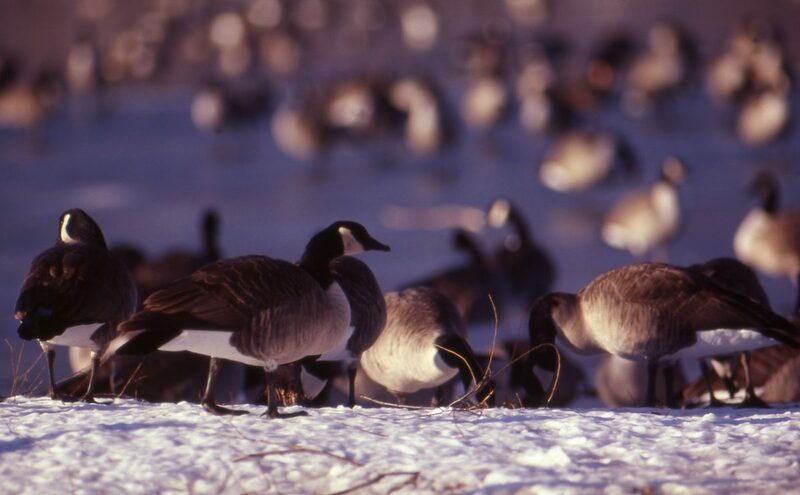 North Dakota’s location along the the Central Flyway means vast flocks of migratory birds make their way across the middle of the state, making it a special time for goose and duck hunters. North Dakota is also known for its upland game like pheasant, grouse and partridge. In early November, hunters begin the chase of the area’s many trophy whitetail deer. For more information on season opening dates and species specific to the Ashley area, visit ND Game & Fish. The 2800 yard, 35 par golf course is open to the public. With water hazards on 3 holes, and out of bounds coming to play in every hole, it’s not just a walk in the park. The nine hole course consists of two-par 5’s, four-par 4’s, and three-par 3’s. With beautiful landscaping and trees, this will certainly be one of the nicest golf courses in the area. The club features men’s night every Thursday and a lady’s night every Tuesday. There are also theme night social events for the family once a month throughout the summer. Lake Hoskins Park & Campground is located three miles west of Ashley. There are picnic tables and shelters, playground equipment, bathrooms with shower facilities, primitive and modern camping sites with water and electrical hook-ups, a dump station, boat dock, and of course a fish cleaning station. Area patrolled by McIntosh County Sheriff’s Department – Not responsible for accidents. The McIntosh County Heritage Center is home to many artifacts celebrating the German Russian immigration to McIntosh county and life in McIntosh county ever since. The Heritage Center grounds are also home to a church, school house, antique machinery, and a land patent office. Tours are available of the Heritage Center by appointment only. The Heritage Center is open without an appointment the Saturday during the Ashley Sizzling Summer Days. Please contact any of the following individuals to schedule an appointment. German-Russian Country is the heartland of the Black Sea Germans, Germans from Russia who settled on the Great Plains of North America. The Germans from Russia are among the most visible and vibrant ethnic immigrant cultures of the plains. Three counties in south-central North Dakota – Emmons, Logan, & McIntosh – are at the center of German-Russian Country. The Tri-County Tourism Alliance formed in order to preserve that vibrant culture in German Russian country. Their mission, to organize people interested in preserving and promoting the Germans from Russia heritage and culture in order to enhance tourism opportunities in the three counties of Emmons, Logan and McIntosh. Their vision and ultimate goal is to be the German-Russian tourism destination in North Dakota. The Alliance is continually working towards sharing, preserving, and promoting the German Russian culture through visual projects like books and documentaries, hosting events like the annual Kuchen contest, as well as keeping people connected through posting history, events, and recipes on social media.